Alen Stajcic wants to clear his name and restore his reputation. SYDNEY: Former Australia women’s coach Alen Stajcic says his shock sacking last month had ruined his reputation and called for an independent inquiry into his termination by Football Federation Australia. 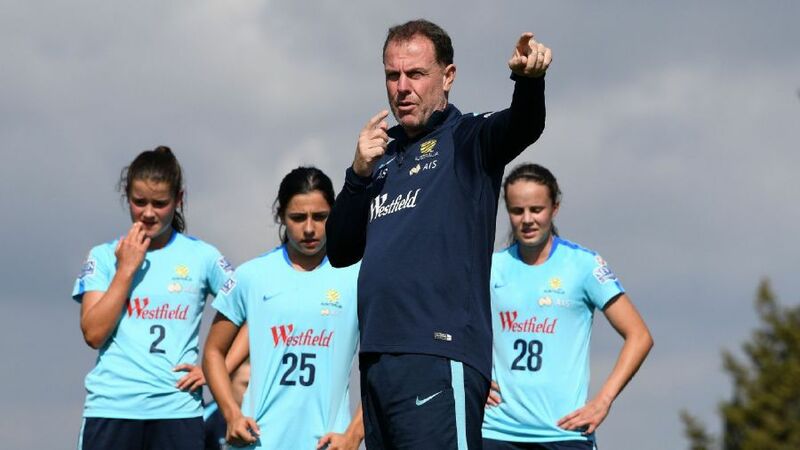 Stajcic, who struggled to hold back tears in a media conference on Monday, said he had considered legal action against the FFA and rejected the governing body’s assertion he allowed “a poor culture” to develop around the Matildas team. “I’m here today to clear my name and restore my reputation ... after having spent 20 years coaching the game,” the 45-year-old said after reading from a lengthy statement, pausing to take regular sips of water to compose himself. Stajcic said he had only one meeting with FFA CEO David Gallop for “about 20 minutes” on Jan. 18 before being sacked the next day. He added that his requests to see the survey results or get more information had been ignored. Stajcic, who took charge in 2014, guided the team to the quarter-finals of the 2015 World Cup and the same stage at the Rio Olympics the following year. “We will fight tooth and nail to get exactly what Alen just spoke about - due process, procedural process, fairness,” Football Coaches Australia President Phil Moss, sitting next to Stajcic at the media conference, said. Australia will be one of the favourites at the June 7 to July 7 World Cup in France where they will face Italy, Jamaica and Brazil in the group stage. The FFA is looking to appoint an interim coach through the tournament. Stajcic stopped short of saying he wanted his job back.